For the past 7 years, OSG’s clients have benefited from having Russ Bamsey deliver training and consulting at their workplaces. Russ has trained almost every OSG title, and his specialty is lifting equipment, including cranes, hoists, and lifts. He is also a highly skilled confined space specialist. 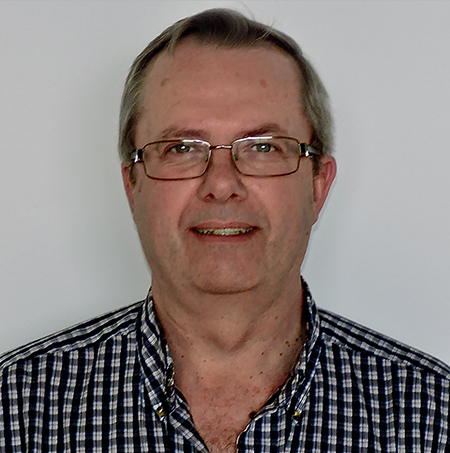 Prior to joining the team at OSG, Russ acted as a safety representative, trainer, and coordinator in various capacities for companies in the manufacturing sector. Russ is reliable and casual, and OSG clients have reported that he delivers memorable training classes, and makes all participants feel comfortable discussing safety concerns and scenarios in group settings to facilitate learning. Russ truly enjoys safety training and working with clients from all industries and experience levels, but he is ultimately looking down the road fondly toward retirement. When he isn’t training, Russ enjoys spending time restoring vintage sports cars. He has a cottage in Northern Ontario that he loves spending time at. Russ’s passion for health and safety extends to his desire to live his life well and help his clients remain safe so that they may do the same.